to measure the age of a tree in Bluebell Wood, Guernsey. June 2008. 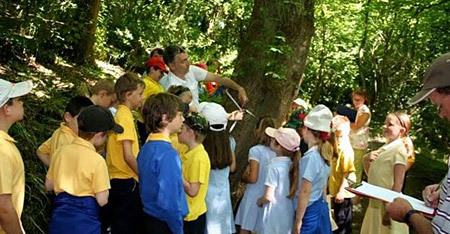 Educating people about trees and their importance is a central aim of the Society. A world with the understanding of the importance of trees, woodland and forest is a world with a future for our children.